Where Does Gold Come From & How Does It Impact the World's Economy? How Much Gold Has Ever Been Mined? What Is the Spot Price of Gold Today? Which Countries Have the Most Gold? What Are the 4 Main Uses of Gold? For thousands of years, gold has occupied a unique role in the financial systems of cultures worldwide. Unlike virtually every other commodity, gold has value far beyond its applications in industry. While business sectors including dentistry, electronics and jewelry use gold in their products, there is simply not enough commercial demand to explain the very high price markets assign to the yellow metal. However, the high price is no mystery. Since the beginning of civilization, humankind has viewed gold as a proxy for money and wealth. This reality has made it one of the most fascinating and misunderstood commodities. Looking to trade gold? See our gold trading guide here. The supply of above-ground gold is limited. Gold deposits are difficult to find, and extracting the metal from gold mines is an expensive and time-consuming endeavor. Interestingly, gold isn't just in the ground, it is also in our oceans. Ocean waters hold approximately 20 million tons of gold (more than mankind has ever mined). However, each liter of seawater only contains about 13 billionths of a gram of gold. Yes, billionths. There is no getting away from the fact that gold is rare. 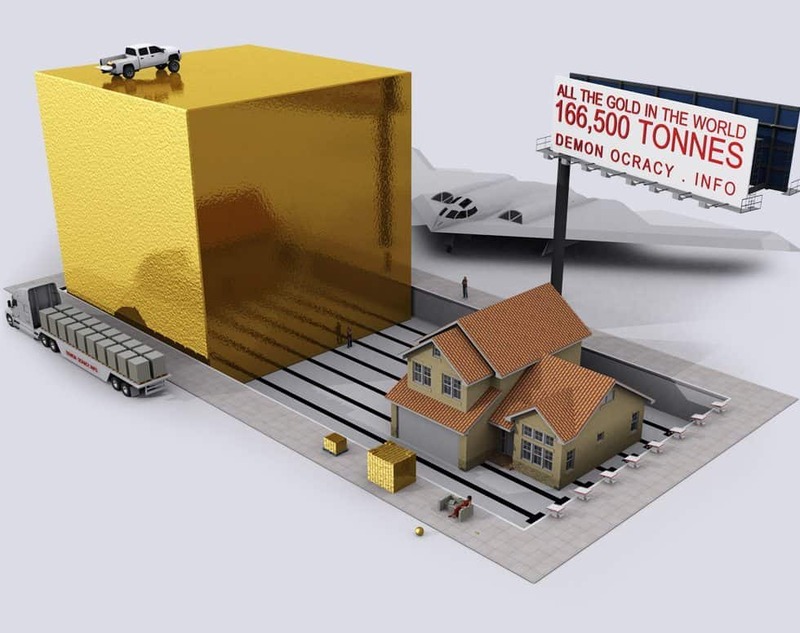 Analysts estimate that the total supply of gold in the world is around 170,000 tonnes. If all of this gold covered Center Court at Wimbledon, it would only rise 9.8 meters above the ground. Or to put it another way, if it was all melted, it would fit within an Olympic swimming pool with room to spare (as the picture below demonstrates). Read our guide to start trading gold today. What Drives the Price of Gold? According to the World Gold Council, annual volume of gold production has tripled each year since the early 1970s, while the amount of gold purchased each year has quadrupled. The price of gold has risen from $45.75 in 1972, the first year private ownership of gold became legal again, to its levels today. As with any commodity, the balance between output and market demand determines price levels. When supply levels diminish, prices tend to go up. Factors such as political unrest in countries with large gold mining projects or increases in mining input costs (such as the price of oil) can constrain supply. On the other hand, discoveries of new gold deposits or declines in input costs can increase supply. One factor that consistently affects supply is the price of gold itself. When gold prices increase, mining gold becomes more profitable, so more supply comes on to the market. The opposite happens when prices decline. Similarly, changes in demand from industry, traders, central banks or sovereign wealth funds can move gold prices. The actions of central banks can have a big impact on gold prices in two ways. First of all, central banks make decisions to contract or grow the money supply in their countries. These decisions ultimately drive an increase in gold trading since fiat currencies (e.g., US dollar and euro) compete with gold as a store of value and a form of money. Secondly, central banks hold large gold reserves. Their decision to accumulate or sell reserves can move the gold market. Economic data, particularly in the United States, can impact gold prices. Because the US dollar is generally viewed as the world’s reserve currency, weak employment or GDP numbers, for example, often result in a weaker dollar against other currencies. Typically, gold benefits from US dollar weakness as it is a competing form of money. 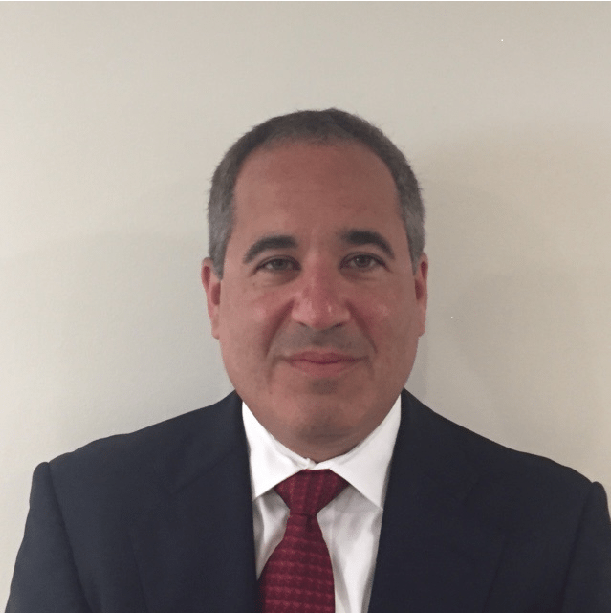 Investment instruments such as exchange-traded funds (ETFs) represent an increasingly important segment of gold investing. Most gold ETFs purchase physical gold and store it for their traders, although some ETFs invest in gold futures, options or other gold derivative products. Demand for these instruments can impact gold prices. 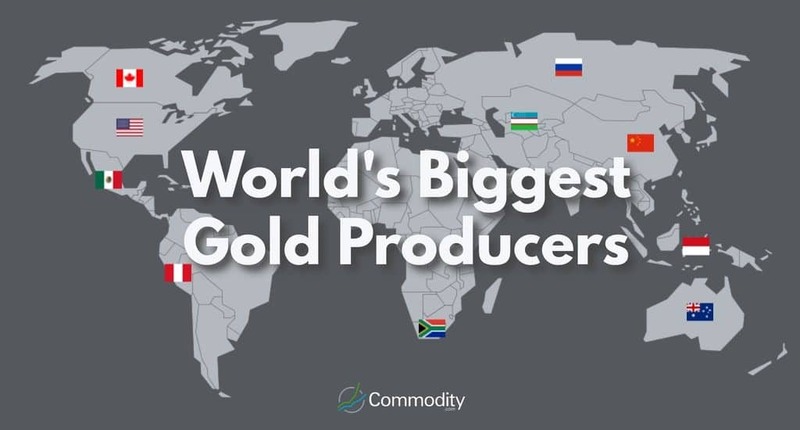 For many years, South Africa was the dominant gold producer of the world now it struggles to maintain its position in the top 10 as countries with a far larger surface area such as China and Russia have overtaken them. These are the officially reported figures (correct as of November 2017) of gold reserves held by each country. It is worth remembering that Central Banks don't typically allow independent audits therefore the "real" figures may be significantly higher or lower than the figures below. There is speculation that China and Russia in particular have been buying up significant gold reserves in recent years. After it is mined, refiners process gold into bars and sell them. 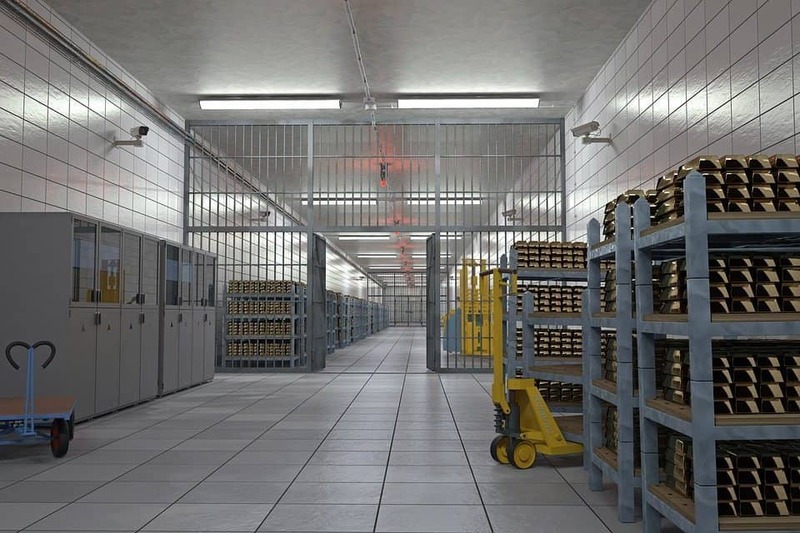 Buyers then transform these gold bars into items such as coins, jewelry and electronic components, or they store the bars and hold them as an investment. As with supply, gold market demand is also international and includes a variety of different industries and traders. Fast-growing Asian economies, including India and China, have increased their demand for gold in recent years. This industry fabricates gold into watches, rings, earrings and necklaces among other items. Jewelry manufacturers have been a mainstay of gold demand for centuries. Because gold conducts electricity and does not tarnish, many industries use gold in their products. Connectors, switches and relay contacts on cell phones contain gold, for example, as do CPU memory chips and motherboards. Gold is also used in salts to treat arthritis patients and on space vehicles to reflect radiation. Individuals and investment funds that want protection from inflation and market crises view gold as a way to preserve wealth. Investment demand for gold manifests itself through the purchases of gold bars, coins and funds that invest in the metal. Most central banks and sovereign wealth funds hold gold reserves. Although none of the major world economies has a formal gold standard, many countries including the US, France, Germany, Italy, Switzerland and China hold substantial gold reserves as a way to instill confidence in their fiat currencies.